I guess you’ve probably figured out where we’re at this week. If not click here to view the details on our UFOEC (UFOhana Event Calendar). Please note that after our Saturday Kanikapila that the San Rafael Elks is holding their annual Crab Feed Fundraiser. This is one of their largest and important fundraisers for the year. Money raised will help the with maintenance, support local charities and keep the lodge sailing smooth. Please invite your family and friends to a lively evening with fresh crab and lots of extras. Kids welcome, babysitters available. Click here for details. Click below for the Friday Night UFOHQ Kanikapila of the year . . .
. . . and here’s the first SVWC (Sonoma Valley Woman’s Club) Kanikapila of 2019. 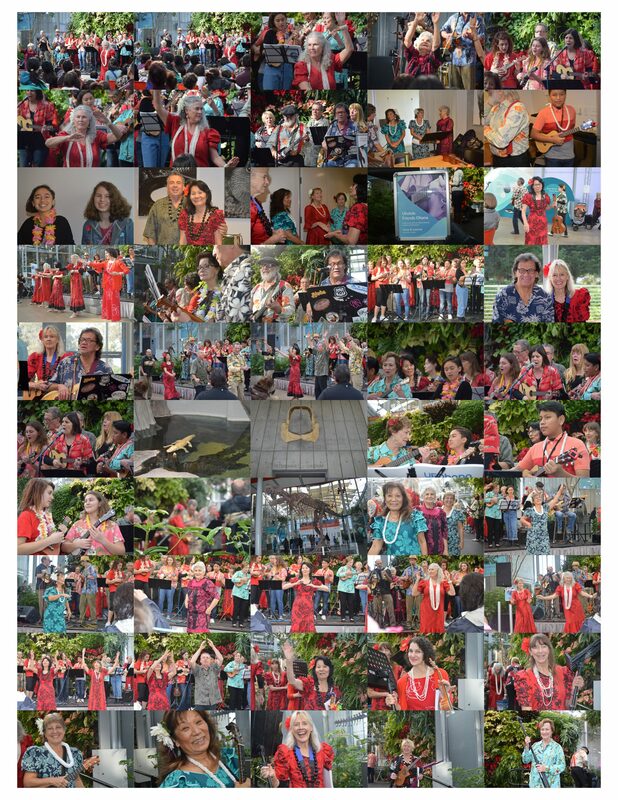 Mahalo to Craig and Nohea for the great photos and to Hula Mai for sharing the Aloha! k’den . . . keeping it short this week. A Hui Hou Ka Kou! YESSSSS, THERE IS A GOD!!!! Next PostNext 013119: Venue Change for this Friday!